You might have come across Casey’s work in the past. See: real-life Alladin/magic carpet in New York (he worked to produce this) or his Jan 2016, mid-NYC-blizzard snowboarding the streets video set to “New York, New York.” For more background, take a watch on Reddit’s Formative Moment video on Casey Neistat. For a classic Neistat video, watch this video of him retrieving a drone he lost on top of a building in New York. It showcases his wild use of cameras and general scrappiness with both his videos and his approach to life. Just think about what he’s doing. Every single day he records a slew of content using a mix of DSLR cameras, handheld point and shoot cameras, drones, smartphones, and god knows what other equipment, bringing to life the adage that the best camera is the one you have with you. He takes all this content at the end of the day and then spends a few hours editing it down into a video that is less than 10 minutes. In so many ways, Casey’s channel is a one-man reality TV show that is direct to viewer and without all the absurd drama that you’ve come to associate with “reality TV.” Neistat’s body of work is reality TV “IRL,” but unlike real life which is often boring, it’s been supercut into something fun to watch. Bear in mind what’s not seen on camera — all the work and effort Neistat puts into getting the raw content that makes his daily vlogs visual treats. Note that you don’t usually see the cameras. Or think about how when you see a shot of Neistat walking or running “on scene” (a common shot is him entering his production studio, as seen from his desk): Casey had to do that very action at least twice — once to set up the camera and once to record the action. In other words, this “real life” video is manufactured. It’s deliberate. It’s not really “real” in the “your life just sorta unfolds” way and more real from the perspective of telling a story about life. It’s a story. Duh. 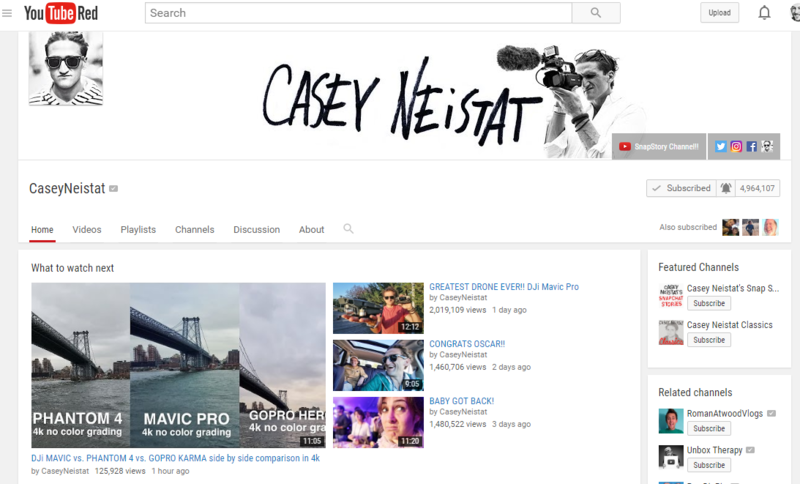 That Casey Neistat does all of this every day is a serious feat. Kudos to his dedication; he’s upleveled the conversation on YouTube (in the off chance you’re reading this, thanks!). Right, so now that you’re familiar with Neistat and realize that he’s putting out solid work every day (each video is getting a million plus views), let’s talk about his viral successes. I remember when Casey’s snowboarding video hit. I recall waking up and actually wondering, “I wonder how NYC is doing amidst this blizzard — I bet Neistat will do a video,” and (no joke) about 30 seconds later I saw the notification that he’d uploaded his snowboarding NYC video. That video has received nearly 15 million views to date and got re-shared all over the web and picked up by all sorts of news stations. It was a big moment for Casey and got him a whole lot of attention and new subscribers. The truth is I have no idea how or why the video goes viral. Casey echos this sentiment some 240 videos later after his $21K First Class plane ticket video published about 10 days ago achieved 20 million views in ~7 days, bumping his subscriber base by about 500K subscribers. Mind that any YouTuber would kill for 5K subscribers. That’s repeat success. 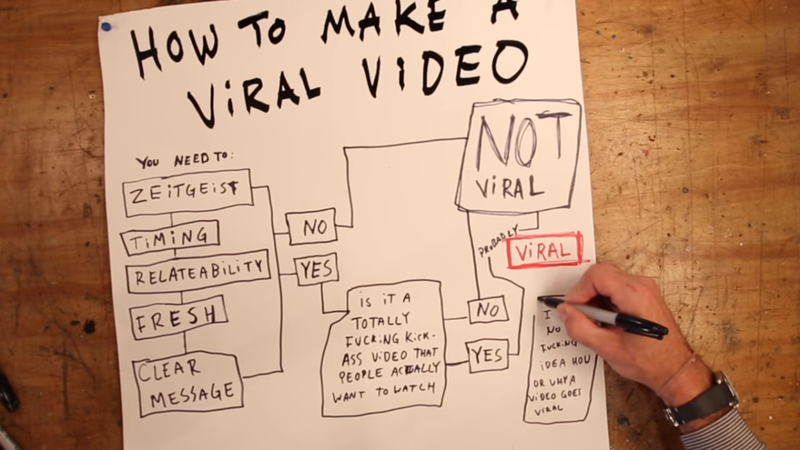 So is Neistat a viral video machine or are his viral video hits just dumb luck? It’s neither, and Neistat outright says as much. Neistat’s viral success is due to lots and lots of attempts, lots of everyday successes (most of his videos still achieved around a million views), and the occasional colossal blow-up. I’ve gotten lucky and had a few viral hits beyond just this snowboarding one but I’ve also uploaded 310 movies in the last 305 days so if 2 of them or 1 of them has gone viral that’s less than 1 third of 1 percent of every movie I make so I don’t know what it is. For most people, this rate of success might be a deterrent to even trying. But to someone like Casey Neistat — a real “doer” — it’s just the way to live life. And that’s the takeaway. Expose yourself to upside success in life by writing a lot of options or buying a lot of lottery tickets — in the figurative sense — that is, by engaging in activities that you enjoy, that are hard, and that pay off by themselves but also have huge upside potential. And really, that’s why I blog*. * Yes, I’m trying to blog again. Been quite a hiatus and it’s not easy to get back but I’m trying! Justin! Hope all is well for you and yours. Just wanted to comment on the last part of the post. Simply doing a lot of what you want to succeed at can statistically help your chances of success in that field. This is an idea I’ve come across in other areas also. Tony Robbins has said this is one of the ways he was able to obtain success at a relatively young age. He was part of a training program where he was supposed to give at least one public speech a week for something like 10 weeks. Instead of simply giving one speech a week he ended up averaging 3 speeches a day five days a week over the 10 week period. In terms of experience, this put him 10 years ahead of his peers he was in the program with. He went on to stress that not only was it important that he had so many iterations in a short period, but he also evaluated each experience in an effort to learn from each event and improve during the next event. It’s something I’ve been thinking about a good bit lately also. Glad to see you’re blogging more frequently. Ivan! BUDDY! Good to hear from you. Great example. I think there is really something to this. It really shouldn’t be so surprising, right? We drill the idea of practice into our kids. We know practice works. We know we learn by doing. And it sounds like Robbins’ not only learned by doing but he closed the loop by evaluating, evolving, and getting better, which is the important part of closing the loop. It’s an important step that I know I often over look. Bias to action. Self-critical to get better. A great way to live. Previous Post Previous post: Questioning daily defaults: what’s the job I need done?